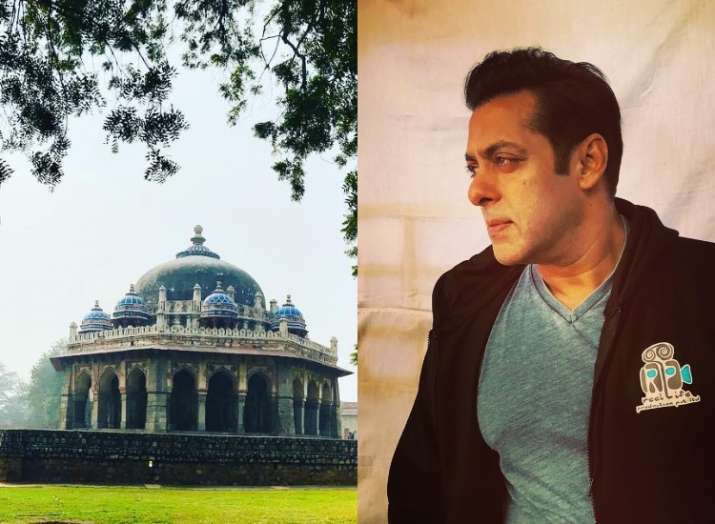 Salman Khan is shooting at the tomb of Isa Khan inside the Humayun’s Tomb complex. After shooting in the beautiful locales of Malta, Abu Dhabi, Lucknow and Punjab, Salman Khan is in the capital city, New Delhi, to shoot for his much-awaited upcoming Bollywood film Bharat. The actor along with Katrina Kaif keeps teasing the fans by sharing pictures and videos from the shoot of his film and now new clicks are going viral on the internet in which the actor is seen cycling in the capital. Nevertheless, the cast and crew of Bharat were in the city for just a day. The film is a circus drama set against the backdrop of the Sixties and is the Hindi adaptation of South Korean film Ode To My Father. The film also stars Disha Patani, Tabu, Nora Fatehi and Sunil Grover while Varun Dhawan has a cameo in Bharat. Bharat is expected to hit the screens on Eid 2019.